When I first started eating real food and following a paleo lifestyle, I found Instagram to be a really wonderful and inspiring place. I met many amazing people who have also become friends and it is also where I found Mette Helbak’s account. It was one of the first accounts I started following and I am still in love with her beautiful farm to table creations and foraging adventures. 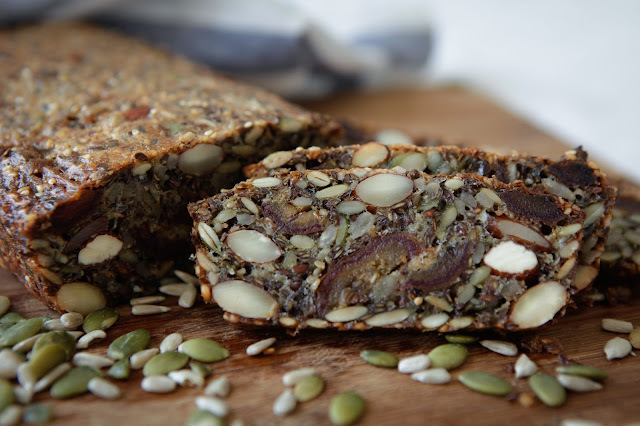 She was so kind to share her delicious nut, seed and fruit bread recipe with me a few years ago and I have permission to share it now with you! 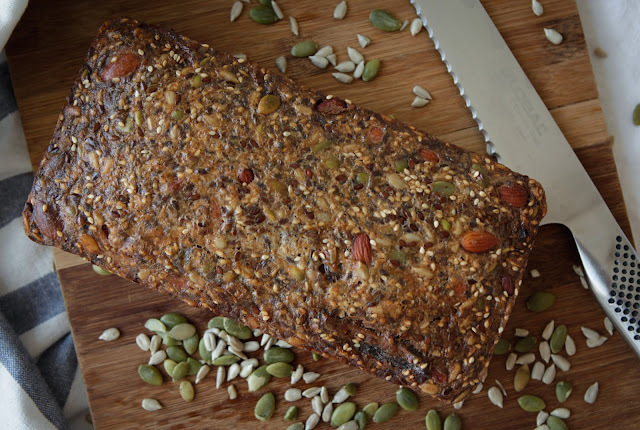 This nut, seed and fruit bread is really easy to make. 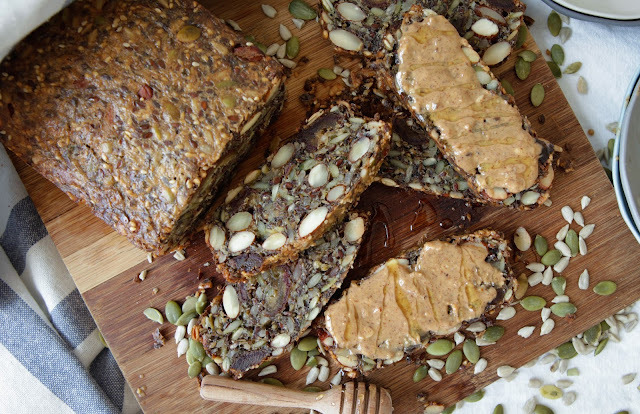 You can change it up and use your preferred nuts and seeds or keep it entirely nut free for school lunch packs. It can also be pre-sliced and frozen for a nutritious and convenient breakfast or snack. 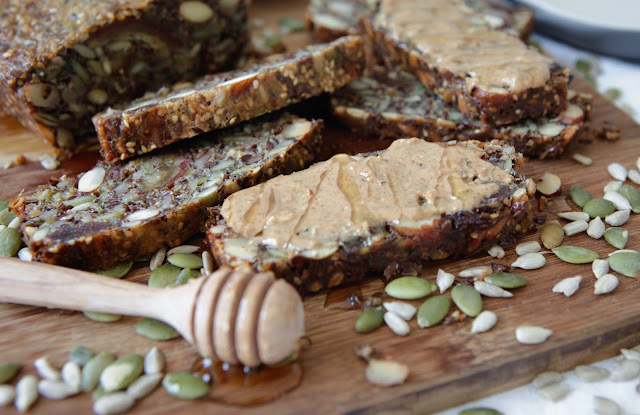 It’s delicious on its own with the sweetness of the dates, but my favourite way to eat it is with some tahini or almond butter and a drizzle of raw honey. OH MY!!! 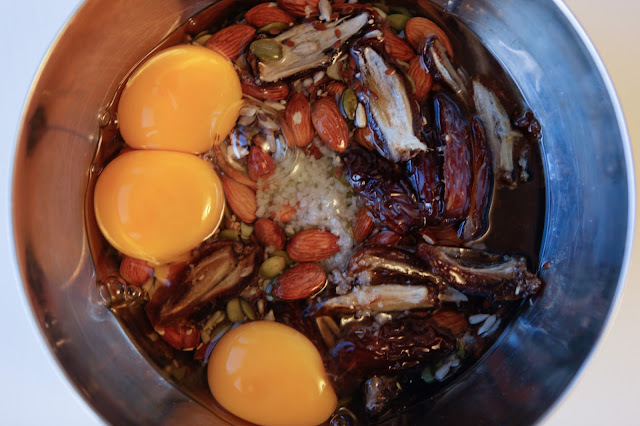 Now, I know it’s always best to soak your nuts and seeds overnight to remove the anti-nutrients and make it more digestible, but it will result in a much softer loaf. The one pictured hasn’t been soaked and has a crunchier texture and for me is a treat. Slather with your favourite spread and enjoy! 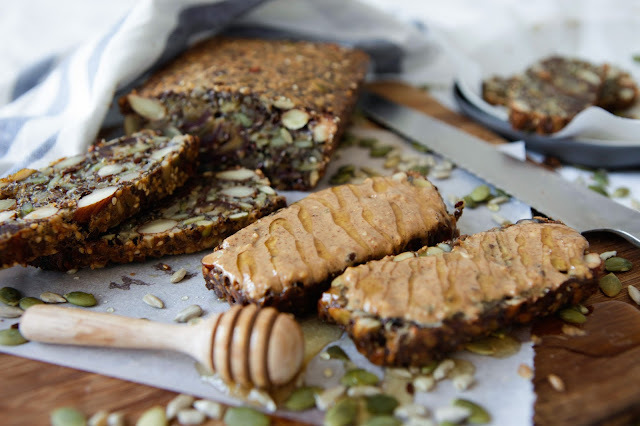 Hope you enjoyed this beautiful recipe by Mette Helbak. Mette Helbak is a chef, cookbook author and founder of roof top farm to table restaurant Stedsans Clean Simple Local in Copenhagen.